Receive latest Coin Review, Cryptocurrency & Bitcoin news. Is It Possible To Create Your Own Cryptocurrency For Free? Just how hard is it to create your own cryptocurrency? Your walk-through guide is here, check it out! 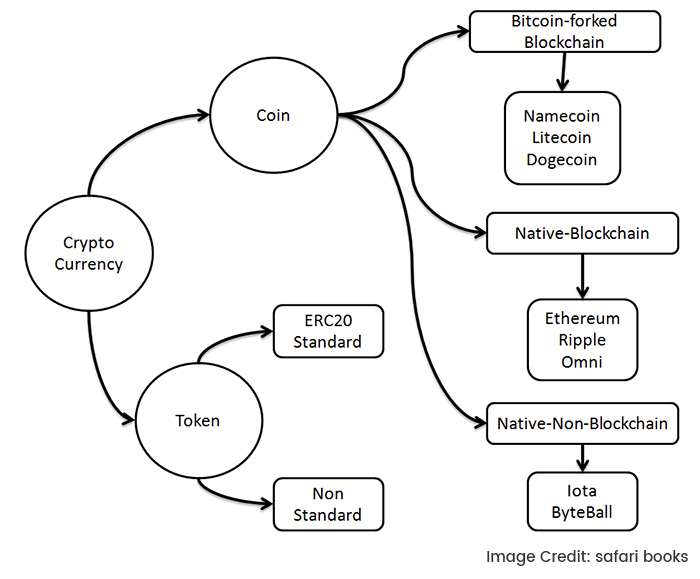 Cryptocurrencies and blockchain are interlinked. The idea behind the blockchain is the formulation of new blocks. As new blocks are being verified, coins are released. This is where your profiting comes into play. Every block being formed contains a cryptographic hash of the previous one, and this must align right from the very first block. Welcome to the world of cryptocurrencies! Can I Create My Own Cryptocurrency? What is the Difference between a Coin and a Token? The Beginning: Initial Coin Offerings (ICOs)? How to Build a Token? How to Build a Coin? You can create your own cryptocurrency asset. Many tokens and coins exist today even though you know only a few of them. Reports have shown that about 1,300 of such coins are in existence today and more are still counting. Therefore, you can also be a part of the crypto entrepreneurs around the globe. 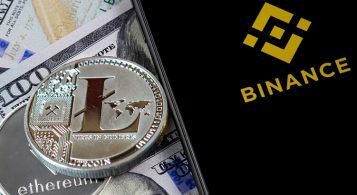 However, despite the vast number of crypto projects that have been created, it is obvious that only a few coins are well known. This implies that there would be a need to stand out if you are looking to be among the most influential crypto entrepreneurs in our world. There are some basic things to consider in order to develop a truly outstanding crypto asset and to stand a chance of being relevant in the crypto market. Your purpose must be very clear. The reason you are creating the crypto asset must be very obvious to the general public since they are the ones to use your services. You must also earn the confidence of the general public if your coin must thrive. Finally, you need to be very sound in programming and data encryption. Although, you may employ a professional’s services. Know What you Want to Do! The first stage of the cryptocurrency building is to know exactly what you want to do. Many people get very eager to jump on the bandwagon without a grasp of facts. So, they fall by, In the long run, they miss out because they failed to lay the supporting foundation that will keep them afloat in the midst of difficulties. Owing to much excitement, they do not deem it fit to have a very clear and systematic outline of what they want to achieve. So, they fall by the wayside because when difficulties come, they have no clue on the way forward. This just shows that they never had any reason other than the excitement. There are certain questions that you must be able to answer before you launch your cryptocurrency project. All these questions are to be addressed meticulously by you, and we have the insights here. A coin is a cryptocurrency which does not require another platform to operate on. It has its own platform which is independent of every other platform that may exist. 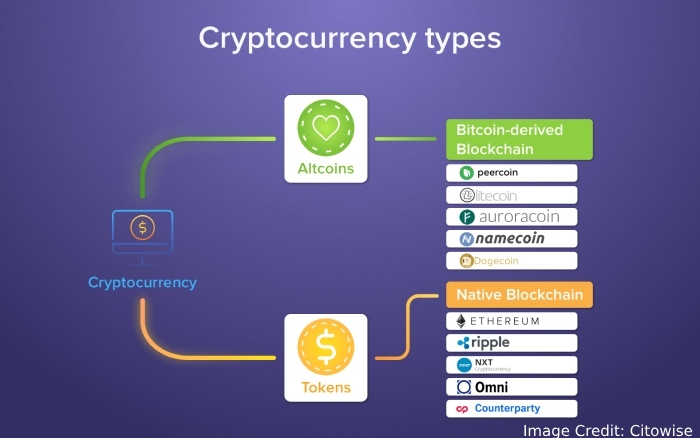 Examples are Bitcoin, Litecoin, Ethereum, etc. However, a token depends on another platform for its operation. The most common is the Ethereum platform. Examples of tokens are Apollo, Golem, TenX, and many other rampant tokens in the crypto market today. To successfully build a coin, one will use a lot of resources – electricity, computer power, and human intelligence too. The whole process is very expensive. Bitcoin, for example, was reported to use about the same amount of electrical energy as some countries use per year in its mining. Can you imagine how much this would have cost in real terms? Mining coins also take a lot of time. If we examine the Bitcoin blockchain for example; we would see that it was once easy to mine coins but that isn’t the case anymore. It depends on the proof of work algorithm, the hash rate of your mining device, and the increased level of difficulty in verifying blocks. For example, a device which mines at a rate of 120MH/s would release 25 Bitcoins every 98years. That’s a lifetime, dude! A token does not have to go through all of the processes that the coin goes through. This is because one is merely building on an already existing platform. This, therefore, means that it does not require as much energy, time and resources to build it. Notwithstanding, it consumes a lot of resources too but at a reduced rate. Thus, it is cheaper to build a token than it is for a coin. Ethereum is the platform upon which many tokens are built today. 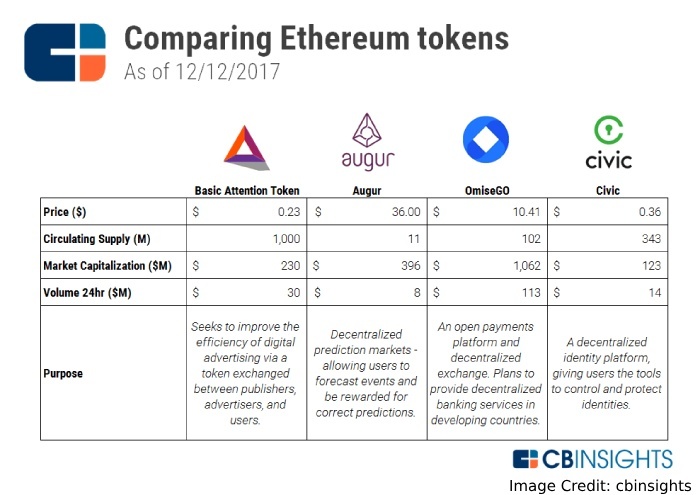 Although, there are other platforms upon which tokens can be built like Omni, Ubiq, Bitshares, NEO, Waves, and so on; Ethereum still stands out. To be successful at this stage you must have come across the word ERC20 at one time or another. 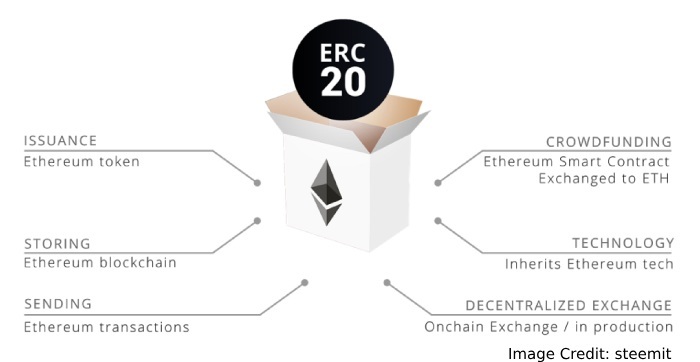 ERC is the means used to propose changes or improvements on the Ethereum network. As a matter of fact, the reason we have many tokens today is because of the ERC20 protocol. 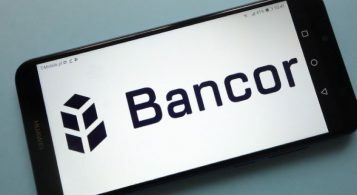 It has ushered in much standardization to the cryptocurrency community, and it has also accelerated the development of several decentralized apps (DApps) to a more universally standard platform. This ERC20 protocol has also made it easy for enterprises to tokenize their projects and conduct ICOs. Many tokens are built in the ERC20 platform. It is noteworthy that there is also an ERC223 protocol which many enterprises have built their tokens on. Interestingly, it is compatible with the ERC20 protocol too, i.e. every DApp that is supported on the ERC20 protocol would also be supported on the ERC223 protocol. The ERC223 platform is actually an improvement on the ERC20 platform since it rectifies many flaws in the ERC20 protocol. ICO is an abbreviation for Initial Coin Offering. This is the stage where you publicize your project and also raise funds for other aspects of your project. During an ICO, tokens are usually exchanged for already existing coins, i.e. if you want to buy tokens, then you would pay in an already existent crypto coin like BTC, Ethereum, etc. To be successful at this stage, then you must put a lot of things in order. 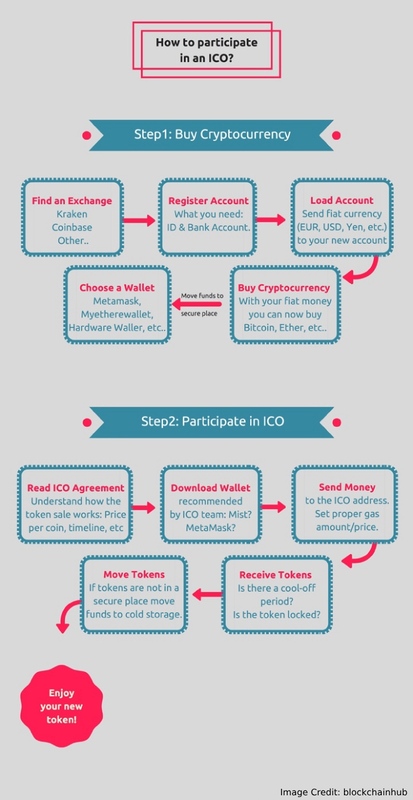 How to Get Ready for an ICO? A great idea is the first way to capture the interest of potential investors. The answer to these and some other questions are what your idea entails. Your major tool in winning the heart of the public is your whitepaper. This should be between 20 and 100 pages. It should contain pieces of info like the problems you wish to solve, your roadmap, and the technicality of your project. It is written in an academic fashion to fully exhaust every detail about your crypto enterprise. If you can’t do a thorough job here, then you better employ the services of a professional. There is no way you could possibly get all these done yourself. Even Jack of all trades, they say, is a master of nothing. You would need the services of a professional at various stages of your project. For the coding, you would need a developer or programmer; for the whitepaper, you would need a professional writer and so on. Having a crypto community for your project is also a necessary step to take. You can deploy a team to man the channels in Telegram, Twitter, Bitcointalk, Discord, Facebook, etc. This will be an ongoing contact measure to keep the public up to date on your project. Finally, you must come up with a good marketing strategy because it is your buyers that determine the extent of your success. If you are able to gain their attention, then you’re winning. In order to have the upper hand in the crypto market, you need the best set of professionals you can afford. Since building a coin involves creating an entirely new blockchain; then you need a professional programmer or developer to help you through the hurdles of building your own blockchain. You also need professionals who are skilled in communicating your plans to potential investors for an effective ICO. In making use of advisors, you tap into their wealth of experience on the field. A number of high-profile investors to give credibility to project; and cryptocurrency industry insiders. Their trust and confidence in your projects would inspire more investors to participate in what you are doing. It should contain information about the services your coin offers. It should also communicate the technical “how to” of your project. There should also be another smaller one which is usually referred to as the lightpaper. Note that these documents must be in PDF, because PDF is accessible by every device. You do not want people to experience difficulty in downloading and reading your whitepaper. Even if all these have been solidly put in place, your coin must also be working. Imagine having the venue for a live performance set, and then the performers do not eventually turn up. There are some things that your coin must possess for it to be highly needed in the crypto ecosystem. These things are speed, safety, scalability, and simplicity. Your platform must be fast and very simple to use. No one likes to use a slow and complicated service. 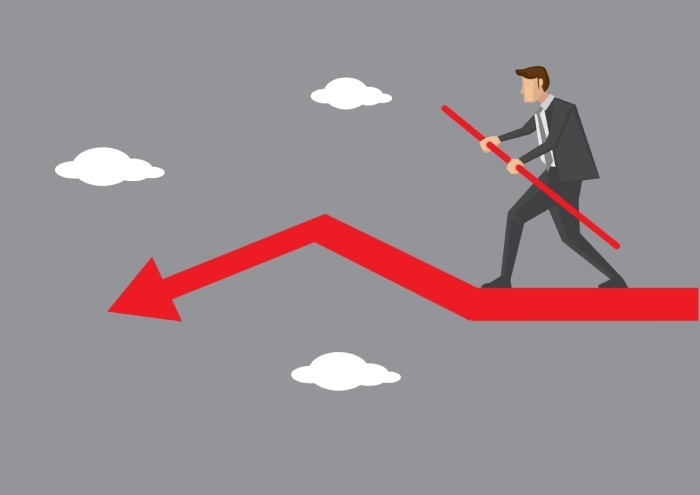 Seeing that your coin would go a long way in affecting how investors are attracted to your project. It is therefore expedient that the supporting code is written in a very technical but simple way. This is a task that is better handled by professionals. Well, the good news is that it isn’t difficult to find such professionals anymore. The professionalism in the crypto community is rapidly growing. Ensure your crypto project is legit. Both the investing market and the issuing market need to be well informed about your project. There are stakeholders in the crypto community. As a result, you must ensure that you are accountable to them. Investors, crypto followers, and reviewers form a community of interest. You need to answer questions posed to you as they arise. Even your website must contain details about the legality, workability, and transparency of your project. The easiest and most common way to build a token is by using the Ethereum platform. It allows many investors and entrepreneurs to create decentralized applications very easily and with minimal requirements. This article will take you through the simple process of building a token for your project and also creating a base or support for your ICOs. Building a token necessitates the services of a professional developer or programmer. The developer would have to write some codes from the scratch up to the standard. This is a very tedious thing to do because the developer has to ensure that he is correct at every step of the way. Imagine having an error somewhere along the line of such a long code. This difficulty is remedied by the ERC20 protocol. 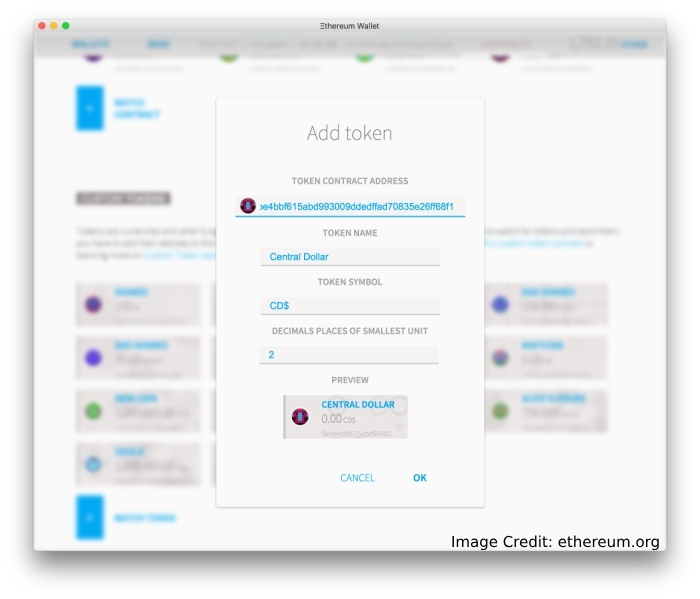 Creating a token using an Ethereum platform involves using a smart contract and a MyEtherWallet , MEW. There are also some components that you will need in order to successfully build a token. These components include an Ethereum address, a text editor like Sublime, Atom, etc; and a solidity contract. Go to myetherwallet.com and create an account using ETH (MyEthereumWallet). To get the setup, just fill in a password right on the page where “Create New Wallet” is written. Then download or save your Keystore file where it is safe enough. Also save your Private Key in a safe place too. To view the wallet address you just created, go to “view Wallet Info,” then click “Private Key” and enter your private key. 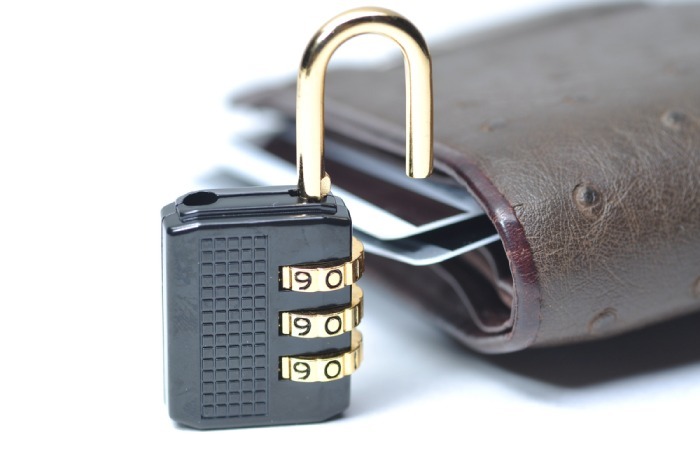 Afterward, click “Unlock your Wallet;” and your wallet address would pop up. Now, download a text editor such as SublimeText or Atom; and a smart contract too. Next, open the smart contract you downloaded in your Text Editor. Afterward, observe the comment section between line 3 and 15 as it would be helpful. Change what is in line 4 to the title of your Smart Contract. Then change the 6th line to the Ethereum address you created in MyEtherWallet. You are required to put your “parent coin name” on this 7th line. Change Line 8 to the name of your token. Go to Line 102 and change the initial name to the name of your token. Also, do the same for Line 115. Change the symbol name on line 116 which is the same as the ones you did in the comment section and do the same for line 117. Change the address on line 120 to the one you generated using MyEtherWallet, MEW, and do the same for line 121 as well. Now, in the “decimals” and “total supply” section on lines 118 and 119, you can leave it the way it is. Although, there are actually some considerations to be made in this line of code. The first consideration is that the standard “decimals” is 18 decimals, i.e. a token or coin can be split into 18 parts. The second one is to add an equal number of zeros as the decimal number to the number of total tokens to be issued. If you carefully observe the number above, you would find that it has exactly 18 zeros after the number “800.” The 18 zeros are equivalent to the decimal number. Congratulations, you have successfully written the code. Smile now! Ensure you check again so as to spot and correct any error or probably something you may have omitted. Afterward, go on to http://remix.ethereum.org and paste your code there. If you notice something red, then there’s something wrong with the code; but if you notice something yellow, you can continue. It’s still fine. Afterward, go to the ByteCode menu and click “? ?” to copy the ByteCode onto your clipboard —( In this section, different things may appear on the ByteCode. What you have to copy is the “object” ByteCode. Be sure to add the letters “0x” in the beginning so it will look like “0xByteCode”). Afterward, paste your ByteCode into the ByteCode box. Here, your gas limit is expected to be automatically updated; and you can also access your wallet. Go to Private Key and enter your private key in the space provided. Log on to https://ropsten.etherscan.io to verify if your contract went through. Start again if it didn’t. This is one very important part of the token creation process. Ensure you pay rapt attention. Now we are going to register this contract. To do that: Click “Contract address” in the Overview Tab. Next, check to be sure that the contract address field corresponds to the deployed contract address. Take note that the two addresses must be different. Furthermore, the contract name has to match the one in the code. Check line 102 in your code. If you want to check the version of the compiler, go to the page where you got the BYTECODE from and check the URL, the compiler version will be there. In the optimization option, choose “No”. In “Enter the Solidity Contract Code Below,” copy the whole code from Remix, and paste the code itself, not the ByteCode, here. You can leave the other fields blank. Then click on “Verify and Publish”. Alas! The moment you’ve been waiting for is here. Just wait for a “Success” response, then welcome to the club. But if a red message pops up; go revise your code. If you want to be sure it’s working, go to https://ropsten.etherscan.io/ and view your public MEW Address. Just in case you want to send tokens, click “wallet info,” input your private Key, click “Unlock Wallet,” and select “Load Tokens.” Then they would become transferable. Apart from the Bitcoin, and a few other coins, which served a financial purpose, most other coins that are created today are utility coins. This implies that the coins allow investors to access their goods and services. Unlike a token which is built on an already existing blockchain, the coin has to be built on an entirely new blockchain. This process is usually more expensive, tedious and difficult than creating a token. To be able to understand the mechanism behind building a coin, one must be able to understand what the blockchain technology is. This is very important because just as it isn’t possible to build a brick fence without laying the bricks systematically and orderly. It is also impossible to have a running coin that does not have a blockchain upon which it is built. The blockchain, in simple terms, is basically a set of transactions that are recorded, monitored and executed by a network. So simple! Right? Yes, that’s more like a streamlined definition. Blockchain, however, is a decentralized distributed ledger that records transactions between two parties permanently. Some are readable by the public while others are not. Those which are readable by the public are vastly used by cryptocurrencies. A blockchain usually comprises a cryptographic hash of the previous block, a transaction data and a time stamp. It is built in such a way that any data on it cannot be altered or modified. To modify a block would require that you alter all subsequent blocks. This is why it offers much security – the reason why it gained acceptance by many investors all over the world. It is run by a peer-to-peer network which is responsible for validating or verifying new blocks. Interestingly, Bitcoin appeared just when the world was on the verge of a global financial spin. The Bitcoin and altcoin story is still unfolding and the revolution is gathering momentum around the world. Every individual, corporation, and governments are already getting into the cryptoworld, and you too can become a participant today. The writer’s views are expressed as a personal opinion and are for information purposes only. It is not intended to be investment advice. Seek a duly licensed professional for investment advice. 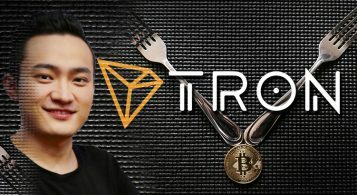 Could Tron’s Hard Fork Upgrade End the Bear Market? Justin Sun Seems to Think So! How Bitmex Signals Bring a Revolution in Crypto Trading? CoinReview.com publishes content that is intended strictly for the purpose of informing the reader. Any information you find on the website should not be treated as an offer for buying or selling or an invitation to purchase or sell any service, product, or anything else mentioned on the website. The content is strictly opinion-based and cannot be considered as financial or investment advice, which should be looked for elsewhere.